How Long Will The Sole F63 Last? How does the slogan go "put good in, get good out"? Sole has put good, solid parts in their F63 from the motor to the frame that are sure to withstand at least a decade of use. Additionally, Sole offers three years coverage for this machine's parts, a year warranty for labor, and a lifetime warranty for the frame. This type of warranty indicates that Sole stands behind their products. Still, we do like to remind our readers that one of the most important factors in Keeping up your machine is maintaining an ideal environment. A machine kept in a climate controlled area that is cleaned routinely and unplugged regularly will certainly have a longer life. While the F63 does not have all of the programming features as some of its competitors, this machine is certainly a reliable purchase. Accordingly, we have awarded the F63 Second Place on our 2019 Best Buy List in the $700 to $999 category. We specifically like the F63’s strong frame and warranty. We also discuss the F63 treadmill’s incline range and speed capability as they are relatively noteworthy for this price range. Before we get into the features that more directly play into our decision, let’s talk about Sole’s F63 as a whole. Sole first introduces the F63 treadmill’s Cushion Flex Whisper Deck. This long title is Sole’s elaborate way of saying that the F63 treadmill has shock absorbers that help reduce joint impact and reduce the noise. Sole claims that their Cushion Flex Whisper Deck reduces impact to joints by 40%, we cannot give much validity to this claim because there is no way to know Sole’s unit of measurement. If they compare the F63 treadmill’s shock absorbers to a treadmill without shock absorbers, then I would hope that the F63’s absorbers would reduce the impact by 40%. Regardless of Sole’s 40% claim validity, what we do know is that the Cushion Flex Whisper Deck is simply a term given to a treadmill that has shock absorbers. Sole also advertises Easy Assist Fold Deck Design. Well, as you probably guessed, this is Sole’s way of saying that the F63 treadmill folds. Next is the unmatched convenience handlebar adjustment technology. Despite the eloquent description, Sole is simply describing buttons on the handlebars that adjust the speed and incline. While these four buttons do not directly improve the F63’s frame or quality, they probably will make it easier to change your workout intensity. Lastly, you may see the description ‘LCD screen’ that ‘fully integrates.’ This is the area that Sole’s embellishments are a little farfetched. Instead of drawing attention away from the F63 treadmill’s basic LCD screen, Sole tried to make it seem like the screen does more than it actually does. The F63’s screen is unlike other consoles in this price range because it cannot accommodate workout applications or web-capable applications. Instead, all the Sole F63’s screen can do is display all of your workout data on a screen that is about the same complexity as your car radio ’s screen. The F63 is reminiscent of classic rock. While you may enjoy some of the new songs, the best jam out sessions are to some good old-fashioned Journey song. Sole has remastered the F63 with Bluetooth compatibility, yet the solid build and quality parts have stayed the same. Simply put, good features combined with good parts make for a good product. Over the years, Sole has been one to beat in regards to dependability and quality. The Sole F63 is certainly no exception as Sole has continued to improve their $1,000 model by upgrading the motor and parts. We also noticed that the F63 comes with an ability to reach 12mph and fifteen percent incline- two qualities that are standard for models that cost a few hundred more. While it may be lacking in the workout programs department, the actual utility of the F63 is a respectable feature. We regard the F63’s build as strong and likely to be durable. We often take the motor drive capacity, weight limit, and unit weight into consideration. The F63 has a 3.0 horsepower motor, a 325-lb weight capacity, and weighs 254-lbs. Now, let us first note that the horsepower and weight limit can be arbitrary numbers. There are no set standards to test these specifications so what AFG considers a 3.0 horsepower could be different from NordicTrack. But when you consider all three of these specifications together, you can see that the weight of the treadmill often gives validation to the other two specifications. You see, the typical rule of thumb is that the heavier the treadmill, the better-quality parts are used. So, if you were to see Sole boasting about a 3.0 horsepower and 325-lb limit with a treadmill that weighs 100-lbs, then you would know that they are full of crap. But, when you notice that Sole’s F63 treadmill is one of the heaviest treadmills in this price range, then you know that Sole has some umph behind their promises. Combine that with our experience with Sole treadmills, and you have a high likelihood that the F63 will last for quite some time. We do fear for Sole and their ability to compete with the other brands in the market. The competitors are improving their quality while also adding features that are adapting to the times. If you, however, are a user who simply wants to run and have a good machine year in and year out, then the F63 is a solid choice for the $1,000 price range. Over the years, the F63 has continued to prove one of the leading treadmills in the $1,000 price range. Sole has consistently improved the model while maintaining its affordability making it an irresistible buy if you are in search of quality. Though the F63 seems basic when compared to the other treadmills on the market, it has consistently been made with quality. Sole also shows that they are willing to stand behind their product with their warranty. 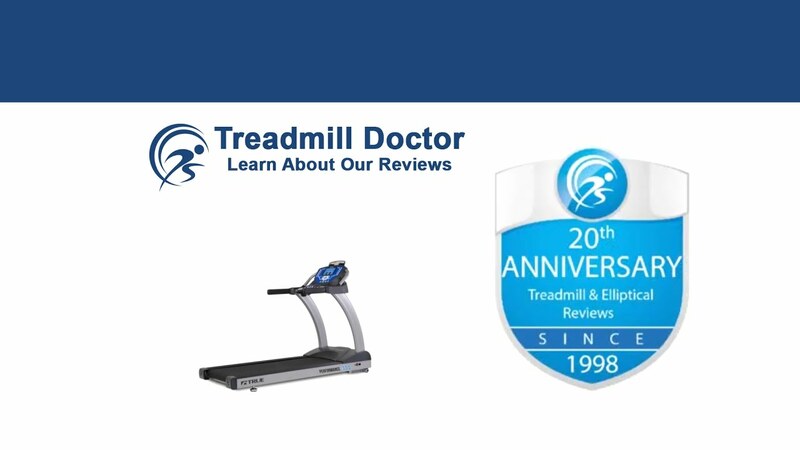 So, if you are searching for a reliable, basic treadmill, then the Second Place 2019 Best Buy Winner in the $700 to $999 category is a satisfactory choice. Take a look at the app review in play store and apple store before buying this. The app for this treadmill doesn't work at all and doesn't sync workout data with any fitness app. You can get a good treadmill with functional app at this price.